“They’re going to be surprised to find me in their trap!” . . .
A surprise turned up in the trap set for prowling feral cats, raccoons, porcupines and whatever else decides to sneak into our old garage and steal food from Mr. Mouse, the resident cat. Our first clue was the aroma that filled the air. From there it became a challenge to figure out how to transport our uninvited guest without 1) stinking up the pickup; 2) stinking up the dogs, who were so excited and curious; and 3) stinking up ourselves. “They’re going to be sorry they treated me so shabbily” . . .
We loaded this lovely skunk, still inside the cage, very carefully into the back of the pickup and drove about 10 miles to what we hoped would become his or her new home. At first it refused to come out of the cage. We waited, and waited. Then tilting the cage up and giving it a jerk emptied the skunk on the ground, while we ran for cover. 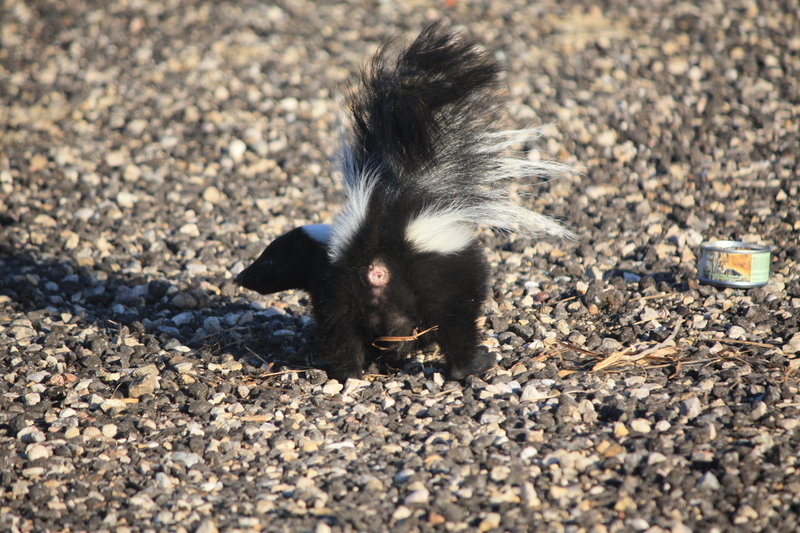 It isn’t that we don’t simply adore skunks! 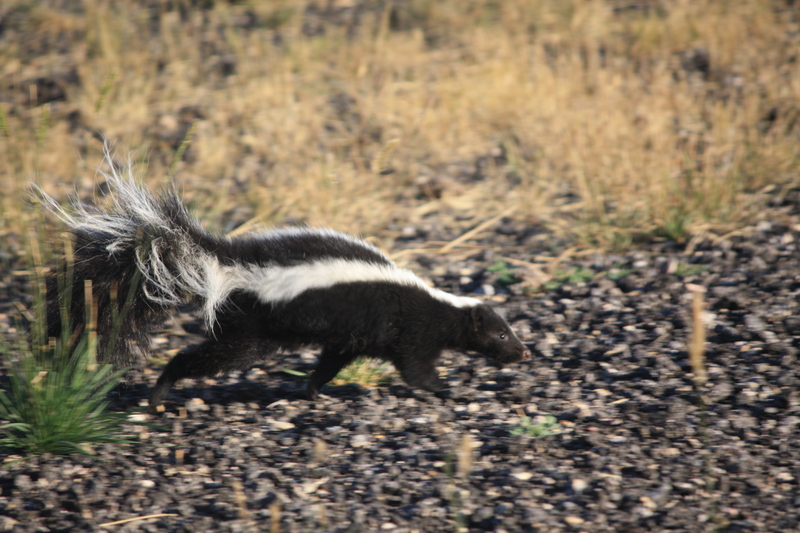 If you have ever been sprayed with “Eau De Skunk,” you will never forget the aroma or the experience. Nor will your dogs, who will need to be quarantined for a considerable period of time until you can stand to be within 20 feet of them. Phew! 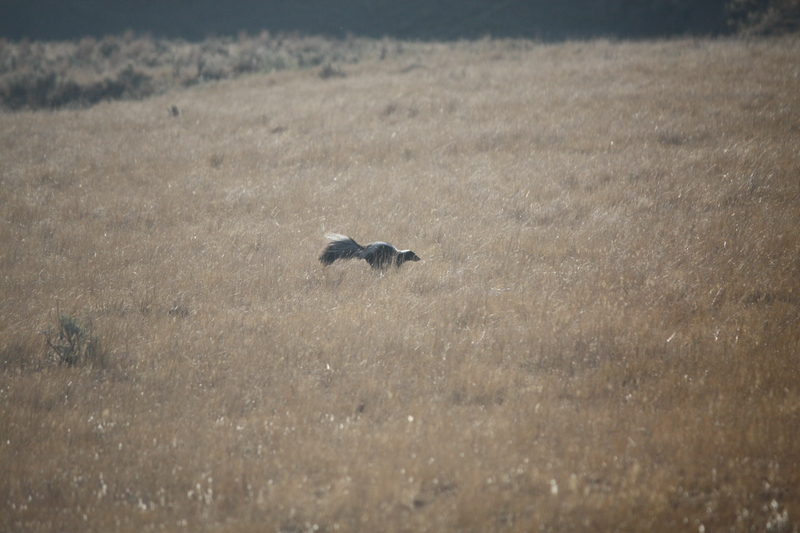 Last seen headed south, we calculated the skunk might beat us home at the speed he was traveling. Ah well, we tried. 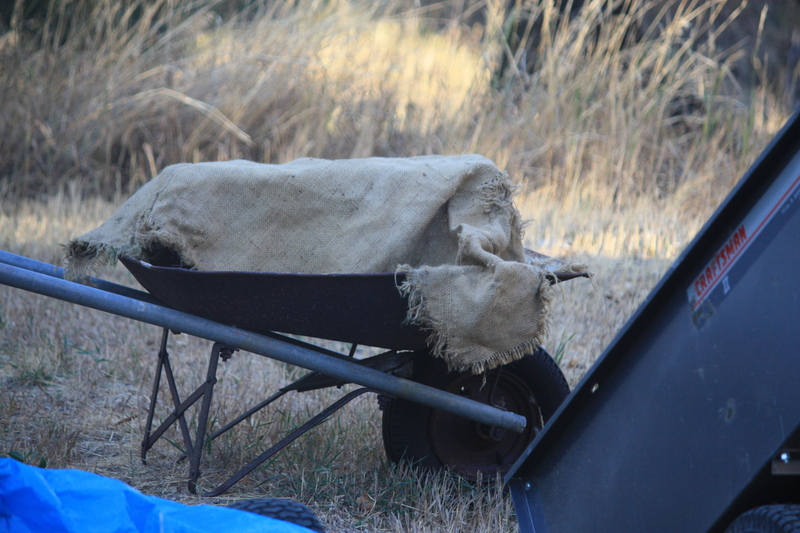 This entry was posted in Wildlife blog and tagged skunks by bygeorge. Bookmark the permalink.